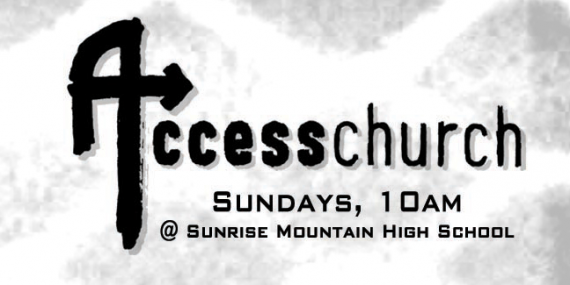 I got a call recently from my friends at Access Church in Peoria, AZ. They’ve decided to let each staff member take some time off this Summer to refresh and see what’s happening in other churches. As their worship guy is taking his time out, I get to come in and lead for a few weeks. Access Church has been around for about 2 years now. The original church planting team is still intact and they are working diligently to build the community there. Each weekend they load in and out of Sunrise Mountain High School to hold services. It takes a dedicated and hard working team of volunteers to pull this off. I was encouraged to see so many smiling volunteers out working hard on a Sunday morning to serve this ministry. I led the Access Church Worship Band and they did a great job. I got the sets to the team early in the week so we were able to just set-up and do a quick run-thru before service started. The band had a great ‘can do’ spirit and were a lot of fun to work with. I’m still loving Forever Reign. It was a new song to this church and they jumped right in. Have you served in a church plant? Helped out with a portable church? I met you through dan Russell. I served for a few years on staff at church of the foothills in Cameron Park before planting Disciples Church in Folsom at the end of 2009. We did the portable church thing for our first year ncluding preview services for a few months before that. There is just something really special about the camaraderie and fun that happens in church plants! On behalf of church plants everywhere, thanks for serving Access! It can be a unique level and brand of exhaaustion doing the portable school thing. I am sure your gifts and heart gave a welcomed shot in the arm. Hi Stu…great to hear from you man! I’ve worked with over a hundred church plant/portable churches and agree that there is a very cool, but exhausting, community building aspect to the weekly load-in/load-out. I’ve always been moved to see volunteers jump in and work so hard to build up their church…it’s quite encouraging. I hope things are going well with Disciples Church. Would love to come out and be a part of things there sometime.